Evangelizing Our Children with Joy! 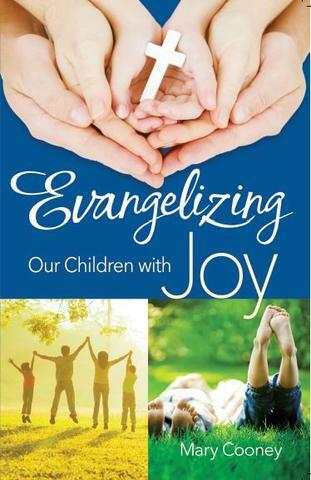 It is with great happiness and excitement that I announce the debut of my new book Evangelizing Our Children with Joy, released by Scepter Publishers. This book is all about raising our children to be saints despite our own shortcomings and tribulations. Children want to grow up to be someone significant and awe-inspiring. Deep in their hearts, they know and believe in their potential for greatness. They dream of doing fantastic and heroic deeds, of becoming people who will have great impact on the world around them. Sometimes we smile indulgently at these “childish dreams,” but God has placed these aspirations on their hearts for a reason. Our children are destined for greatness, each and every one of them. But let us not confuse fame with greatness. All of our children, whether they lead ordinary or extraordinary lives, are called to exemplary virtue, generous sacrifice, courageous heroism, and above all, deep, enduring love. They are called to be saints. Yes, saints, and saints worthy of canonizing! And you and I are, too! To think that our children are unworthy or incapable of becoming saints is an injustice to their dignity. They are, above all, children of God, whose Heavenly Father has created them in his image and likeness. Our Lord makes no exceptions. You and I are called to holiness. Moreover, we are summoned to raise our children to lead lives of holiness, too. The longing in our children’s hearts to be great people stems from their yearning for God. It can only be truly fulfilled when they answer Christ’s call to Christian holiness and love. God has created us to “know, love and serve him in this world,” and thus “to be happy with him forever in heaven.” This is the purpose of our lives and of our children’s lives. When we set before our children this fundamental truth, along with the fact that God has a unique and irreplaceable mission for each one of them, we bring meaning, direction, and joy to their lives. So many parents today sacrifice immense amounts of time and money because they believe their children have the potential to be major league ball players, hockey players, or renowned musicians. Parents see some athleticism or artistic talent in their children and are ready to devote hours each week and to travel long distances, spending entire weekends at tournaments and competitions so the children have a chance to fulfill their potential. And yet only a very tiny fraction of all those who seriously aim for such heights actually reach the top. We must see in our own children not only their potential but also their calling to be great saints. And if we parents are willing to make substantial sacrifices for our children to be sports stars or famous musicians for a few fleeting years on earth, we should be willing to do even more for our children’s lives in eternity. Nourishing our children’s spiritual lives, encouraging them to develop a deep love for God, and forming their characters for true freedom and happiness should be our mission. Heaven is our goal. And no sacrifice can be too great. 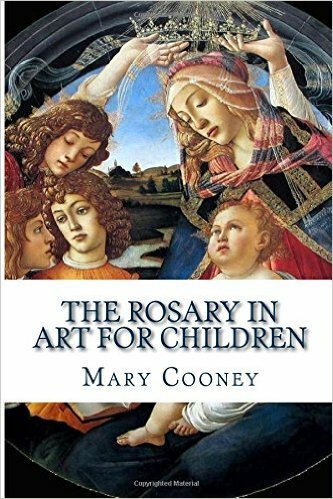 It is a commonly conceived notion that merely sending our children to Catholic schools or religious education classes fulfills our primary obligation of meeting our children’s spiritual needs. But even if we do go to Mass every Sunday and bring our children with us, it is just not enough. The responsibility to teach them the tenets of the faith, to form their consciences and characters, and to inspire a love for God is so tremendous that we cannot simply relegate it to religion teachers or catechism teachers, no matter how wonderful they are. For on this responsibility hangs our children’s eternity as well as our own, and perhaps even the salvation of the people God has placed around us. It is no exaggeration to say that whether or not we take this responsibility seriously could alter the course of history. “These world crises are crises of saints,” wrote St. Josemaría Escriva. You may think that you are just an ordinary mother changing diapers for the hundredth time, but that child you’re tending could be the next St. Francis or, God forbid, the next Machiavelli. He could be the next Churchill or the next Hitler. Your vocation as a mother, as a parent, is exceedingly important. Besides thinking about what our children could be, let us remember what they are now: children of God. And as such, they are worthy of all dignity, all love, and all the spiritual aid they need to return to their Father in heaven. He has destined them for heaven. By this, I do not mean that they will certainly get there, but rather, that is where they belong and where God desires them to spend eternity. However, they need our help, our guidance, and our prayers. God entrusted our children and the care of their bodies and souls to us. This is a blessing and a privilege, but it is also an enormous responsibility. Knowing our children’s heavenly destiny and our responsibility to lead them along the narrow path of holiness, how do we carry out this formidable task? For it is indeed daunting. Our fallen human nature alone is enough to make holiness a challenge. Our human weaknesses and imperfections, our tempers or irritability, our impatience and perhaps our own lack of knowledge of the teachings of the Church… are these discouraging? And then there is that culture of death in which we live. Promiscuity, moral relativism, a complete disregard for the dignity and sacredness of human life, and widespread contempt for the Church pervade our society like a pandemic, marring and affecting the lives of even the youngest of our children. And we cannot forget the devil (Yes, there is a devil! ), who will attack us and our families personally and relentlessly. He will whisper sinister words of despair, discouragement, and deception. Maliciously, he will throw thorns and difficulties along our paths to holiness. With so many towering obstacles, how can we possibly raise our children to be saints? Care to know the answer? Let me give you some hints: the sacraments, prayer, and joy. Yes, if we want to raise happy, holy children who will grow up to be saints, we need to do so with God’s grace obtained through the sacraments and prayer, and with deep, effervescent joy. Admittedly, that joy bit can be really challenging. After all, life is messy and full of difficulties. So I hope this book will bring you much inspiration and encouragement. Even more, I hope to share with you concrete ways to develop a profound spiritual joy as you navigate through the ups and downs of motherhood. 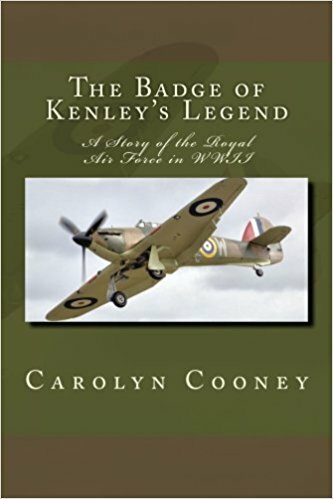 You can see sample pages or purchase the e-book here at Amazon. 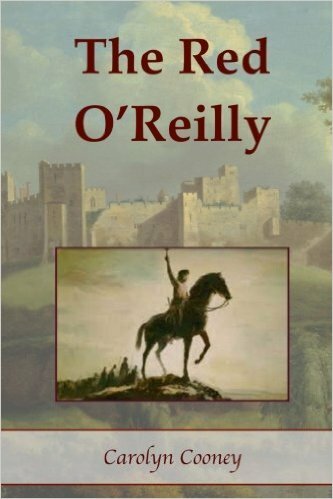 The e-book and the paperback version is available at Scepter Publishers. Wow Mary!!! How amazing! How exciting! Congratulations!!!! !